The properties and environmental fate of insecticidal proteins produced by the bacterium Bacillus thuringiensis are reviewed. These proteins, either produced directly by the bacterium and prepared in formulations of biopesticides or synthesised by genetically modified plants, have important roles to play in the control of agricultural pests and insect vectors of disease. Each strain of the bacterium produces a distinctive cocktail of crystal proteins, known as Cry proteins. The insecticidal properties of each protein are highly target species-specific. The mechanism of action of the proteins and differences between the proteins produced by the bacterium and by GM plants are discussed. Protein nomenclature and structure are briefly reviewed. 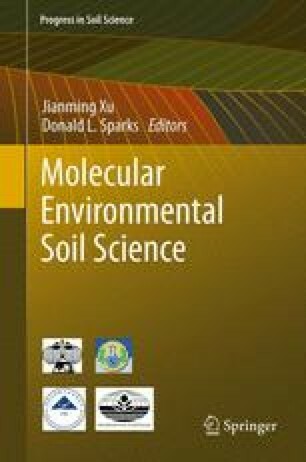 The published literature on the interactions of Cry proteins with soils, soil minerals and reference clay minerals is reviewed. There is currently no link between protein structure and the extent of interaction with soil components. Hydrophobic interactions may play some part in these interactions. Both field studies and controlled laboratory studies of the persistence of Cry proteins in soil are analysed. There is ongoing debate as to the soil properties that determine the persistence of the proteins. There is very little information available on the environmental relevance of ongoing detection of the toxins in soil, since studies usually assay the protein after chemical extraction with no check on the insecticidal properties of the protein. New research directions are suggested on the basis of both the existing information on the environmental fate of Cry proteins in soil and the knowledge gaps identified.